Located in the heart of beautiful North Annandale, NJ, Walnut Pond Dental is a family-friendly practice offering a wide range of restorative and cosmetic treatments. Every day, our team strives to create a peaceful, comfortable, and friendly atmosphere for our patients. No matter what your dental needs, Dr. Carson Ferris-Zeolla and Dr. Victoria Uryniak can deliver high-quality, compassionate care that produces optimal results. Dr. Victoria Uryniak is a Clinton dentist with over 20 years of experience practicing family and cosmetic dentistry. She takes great pride in her work and provides every patient with the best experience and quality of dental care. Dr. Uryniak grew up in Jackson, New Jersey, where she was a leading tennis player. She played competitively at both Jackson Memorial High School and at Franklin & Marshall College until she graduated in 1994 with her BA in Mathematics. She then began pursuing her passion for dentistry at the University of Maryland Dental School. She earned her Doctor of Dental Surgery Degree in 1998 before completing her postgraduate dental training at Morristown Memorial Hospital. In 1999, Dr. Uryniak began practicing privately and continues to do so today. She is a proud member of the American Dental Association, the New Jersey Dental Association, the Academy of General Dentistry, American Association of Women Dentists, and American Academy of Facial aesthetics (AAFE). She continues to further her education about the field of dentistry and the latest advancements in dental technology. She holds an Indirect Anterior aesthetics certificate from The Nash Institute for Dental Learning, and in 2015 she became certified to administer Botox® for aesthetics and TMJ/oral facial pain. Dr. Uryniak also attends multiple study clubs, continuing education courses and conferences in restorative and cosmetic dentistry throughout the year. 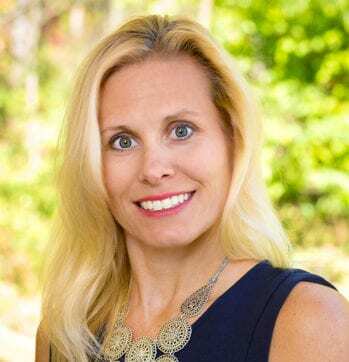 Her accolades include awards for excellence in Pedodontics from the Maryland Society of Dentistry for Children and a certificate of excellence from the Ferdinand J. S. Gorgas Odonatological Society. In 1999, she received the Biotene Award of Excellence in Hospital Dentistry and an award for excellence from University of Maryland Gamma Pi Delta Prosthodontic Honor Society. By 2011, Dr. Uryniak was inducted into the Franklin and Marshall Hall of Fame. When she is not in the office, Dr. Uryniak enjoys spending time with her husband, Michael, who she first met in college, and their son. Though she no longer competes nationally, Dr. Uryniak still enjoys tennis and plays golf. Dr. Carson Ferris-Zeolla is an experienced family dentist who specializes in cosmetic dentistry. She has a caring, compassionate and conscientious approach, which makes her a favorite with patients. Dr. Ferris has known she wanted to be a dentist since she was 12, when she needed braces to correct her smile. Seeing the progress made during two years of treatment developed her own fascination with dentistry and when the braces were removed, the boost to her confidence was enough to confirm that she wanted to spend her life helping others to feel just as positive about their smile. 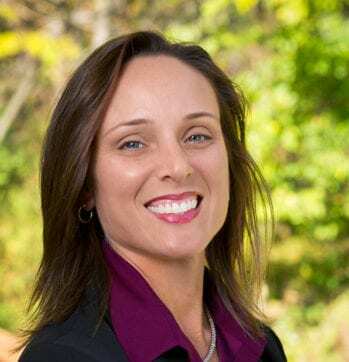 After graduating from high school in Holley, near Rochester, Western New York, Dr. Ferris completed her Bachelor of Science degree at the University of Buffalo. She then moved to the University of Pennsylvania School of Dental Medicine, where she achieved her DMD alongside a master’s degree in education. She graduated top in her class and received the national Board Achievement Award, as well as an award in Pharmacology and Therapeutics. Finally, she completed her post-graduate training at Morristown Memorial Hospital, where she met Dr. Uryniak and the foundations of their practice began. Dr. Ferris is a proud member of the American Dental Association, the New Jersey Dental Association, the Academy of General Dentistry, the American Association of Women Dentists and the American Academy of Facial Esthetics. She is certified through the American Academy of Facial Esthetics to administer Botox® for aesthetics and TMJ/oral facial pain. Through a study club and continuing education courses, Dr. Ferris remains a leading practitioner, offering the best possible treatment and care to patients. As well as offering general dentistry for the whole family, Dr. Ferris specializes in cosmetic dentistry and facial aesthetics. Her childhood experience influences her care for patients and her focus is on helping them to achieve the results they want, to enable them to feel confident in their smile and their looks. There is no greater compliment than patients who say Dr. Ferris is the most compassionate, gentle and trustworthy dentist they have ever seen. When not at work, Dr. Ferris spends time with her husband Nick – who was her college sweetheart – and their three sons. She loves living in Long Valley, NJ, and the beautiful countryside around it, and enjoys reading, gardening and swimming. We sincerely hope you will find your dental home at Walnut Pond. To schedule a consultation, you can call our office at (908) 200-7007 or contact us online anytime.